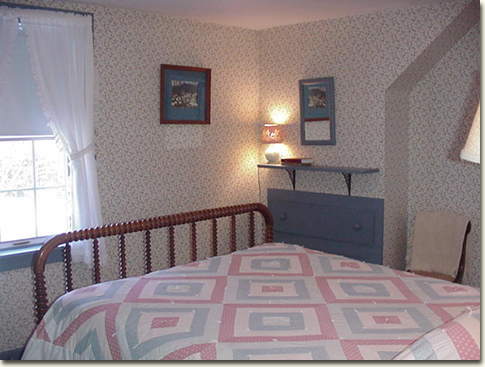 This room has an antique double spool bed which was given to Suzy by her elderly maiden cousins Mary and Eleanor. It's a little higher than modern beds, so we've provided steps to help you get into bed. 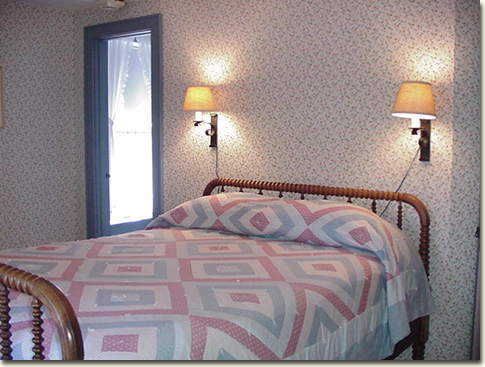 This is a sunny room with both a view down stream and across the road to the horse pasture.